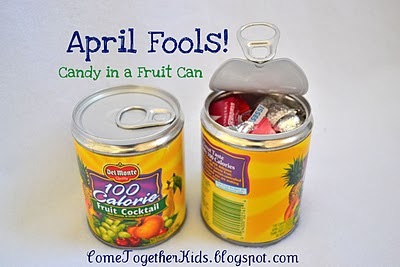 I saw this fun April Fools day gag on Come Together Kids and knew I had to make this! I found this potted meat at the dollar store 3/$1. Not quite sure why it was that expensive because that stuff is nasty! Do people really eat this? I sent these off with my kids to school today. Not sure if they will be fooled or not!